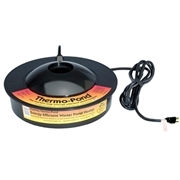 The Thermo-Pond Perfect Climate Submersible Pond De-icer was designed with small and preformed ponds in mind. When used as a submersible, the Thermo-Pond Perfect Climate Pond De-Icer works great in all ponds up to 300 gallons, 18 inches deep or less. This electric pond de-icer maintains a hole in the ice for over-wintering fish. 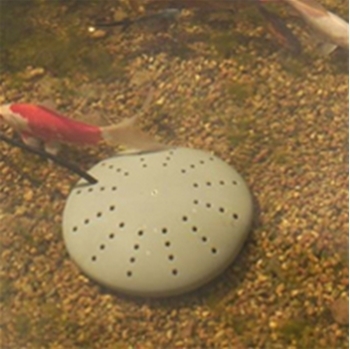 It is not designed to maintain an elevated temperature for the entire pond.